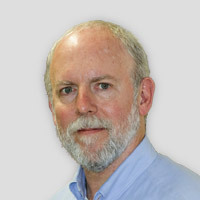 Stephen D. Reese has been on the University of Texas at Austin faculty since 1982, where he is now the Jesse H. Jones Professor of Journalism. His teaching has included a general introduction: “Critical issues in journalism,” research-oriented graduate seminars, a freshman campus-wide Signature Course: “Understanding 9/11,” and a summer course: Global Media Literacy. He has been Director of the School of Journalism and the Associate Dean for Academic Affairs in the Moody College of Communication. His research focuses on questions relating to press performance, including the sociology of news, media framing of public issues, and the globalization of journalism. Along with some 50 articles and book chapters, Reese is co-author with Pamela Shoemaker of Mediating the Message in the 21st Century: A Media Sociology Perspective (Routledge, 2014), a follow-up volume to its predecessor, named by Journalism & Mass Communication Quarterly (JMCQ)as one of the "significant journalism and communication books" of the 20th century. His edited volume, Framing Public Life: Perspectives on Media and our Understanding of the Social World (Erlbaum, 2001), has been widely cited, and his most recent edited volume (with Wenhong Chen) is Networked China: Global Dynamics of Digital Media and Civic Engagement (Routledge). He has served as book review and associate editor for JMCQ, and on its editorial board and 14 others. Professor Reese served as head of the Political Communication division of the International Communication Association and held major leadership positions with the Association for Education in Journalism and Mass Communication, which awarded him the Krieghbaum Under-40 Award for outstanding achievement in research, teaching and public service and, most recently, the Paul Deutschmann Award for excellence in research. He has been on the faculty of the Salzburg Academy for Media and Global Change and lectured at universities around the world, including as Kurt Baschwitz Visiting Professor at the University of Amsterdam. His professional media work was in public and commercial radio, in Knoxville, Winston-Salem, North Carolina, and Madison, Wisconsin. He received his B.A. at the University of Tennessee in Knoxville, and his M.A. and Ph.D. from the University of Wisconsin at Madison, from which he received the Harold L. Nelson Award in 2015 for distinguished contribution to research and education in journalism and mass communication.